Powder-coated steel frame. Tempered safety glass shelves. Unique cherry wood accents. Silk-screened finish on all glass. Ample storage space for media components. Cable management system maintains a neat appearance. 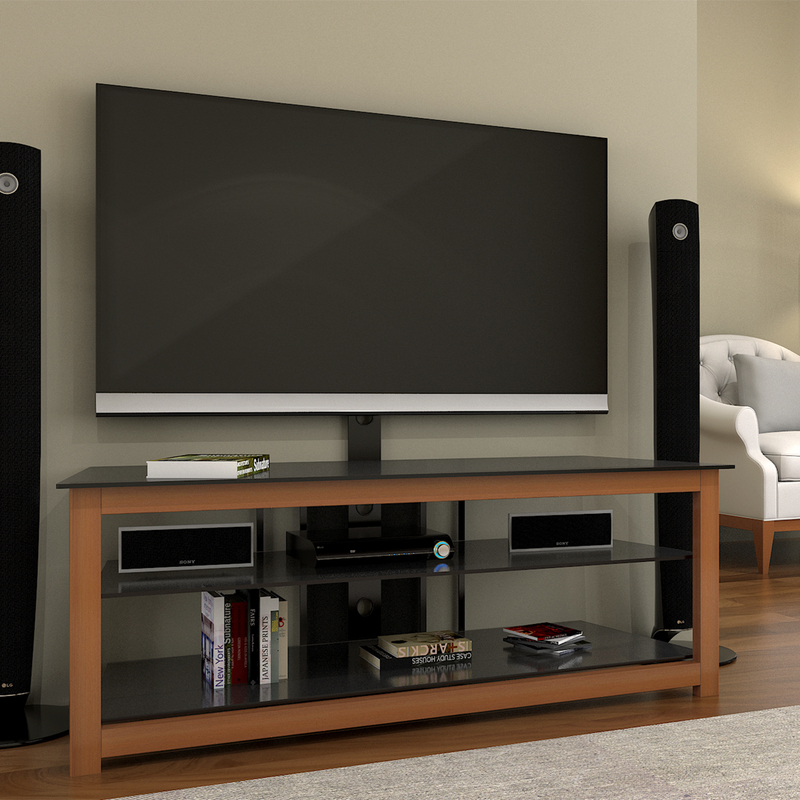 Accommodate most flat-panel TVs up to 65 in. 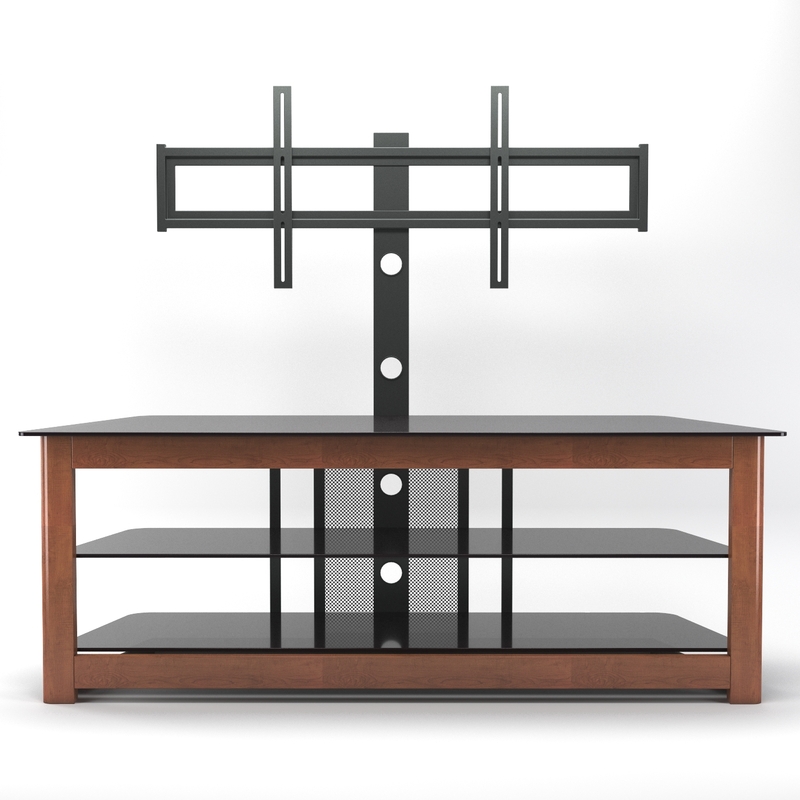 TV stand holds up to 250 lbs. Dimensions: 58" W x 20" D x 20" H (Overall Height 52") - Weight: 118 lbs. 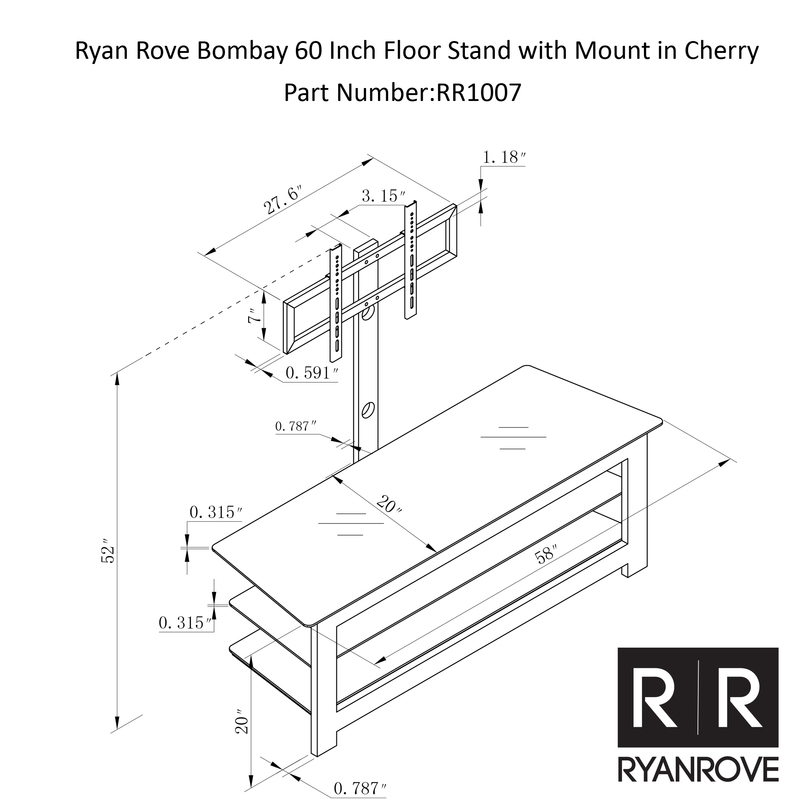 This Ryan Rove Bombay 60 inch floor stand with mount in rich cherry finish deluxe cherry finished TV stand with a removable mount, features spacious shelving for ample storage space for all media components. 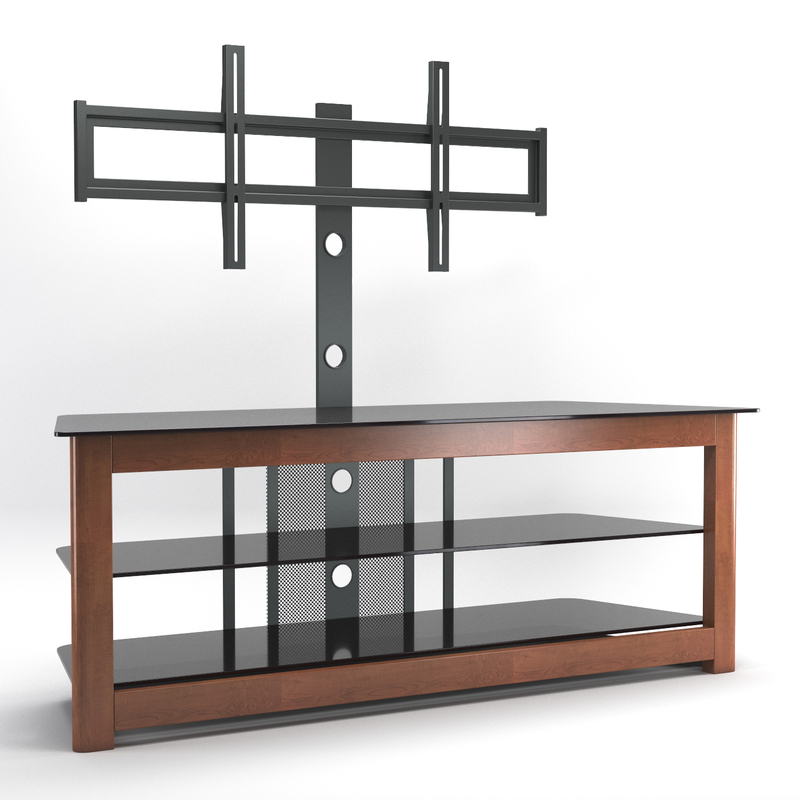 Constructed of a powder-coated steel frame, thick, tempered glass shelves and cherry wood accents together accommodate most flat-panel TVs up to 65 inches. 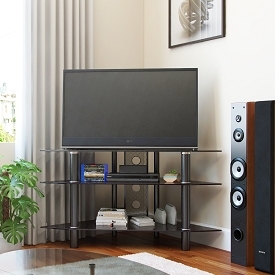 Maintain a neat appearance with the convenient cable management system. 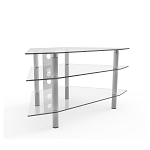 PRACTICAL TV stand for any TV makes and models, easily acclimates Samsung LCD or LED TV’s, perfect for Vizio TV stand, Panasonic TV stand, Sony TV stand, and many more. 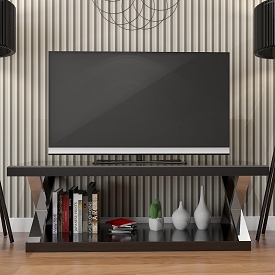 This V design TV stand creates a modern look for all your audio video equipment. 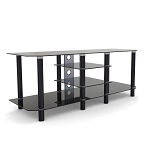 The black top and bottom shelf finish with steel V shaped support sides adds a sleek look that shouts look at me! All while making the most of functionality, look, and overall design. Powder-coated steel frame. Tempered safety glass shelves. Unique cherry wood accents.Silk-screened finish on all glass. 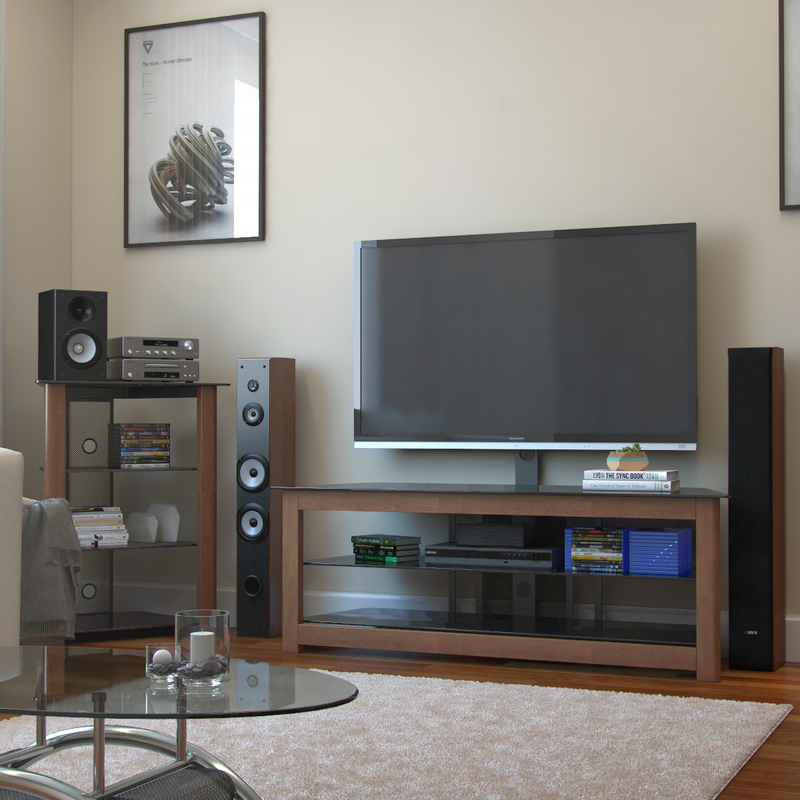 Ample storage space for media components.